With the Panama Papers exposé perhaps we can now say the fortress walls of offshore secrecy are finally cracking. Such havens allow corruption and tax avoidance to take place on a massive international scale by some of the richest and most powerful people on Earth. Meanwhile, the poor get poorer. Western politicians have huffed and puffed about clamping down on offshore havens but in reality their collective breath would not have knocked over a little piggie’s straw house, let alone bastions of vested interest. It is thanks to investigative reporters, whistle-blowers and unprecedented international media collaboration that the matter is being forced. The advocacy group Global Financial Integrity reports that illegal channelling of profits offshore cost developing countries nearly $6 trillion between 2001 and 2010. As Facebook posters like to remind us, 1% of the world’s population owns half the wealth and they like to hoard it. But finally things may be changing. We are being treated to the third major offshore data leak in as many years. The first was the Cayman Islands tax leak in 2013 that exposed a huge number of major figures worldwide as holding accounts in the tiny island — a British dependency — in secrecy. Then there was the great HSBC leak which revealed that the company’s Swiss private bank had helped wealthy account holders from other nations to dodge huge sums of due tax. Now it is the turn of Panama –– an excellent place to park large sums of money. The Panama investigation has again featured a network of like-minded journalists in a range of countries. The network has been built up over a series of multinational collaborations. Among the organisations involved are The Guardian and BBC TV’s Panorama program, which have a longstanding relationship with the International Consortium of Investigative Journalists (ICIJ) which is at the heart of this operation. 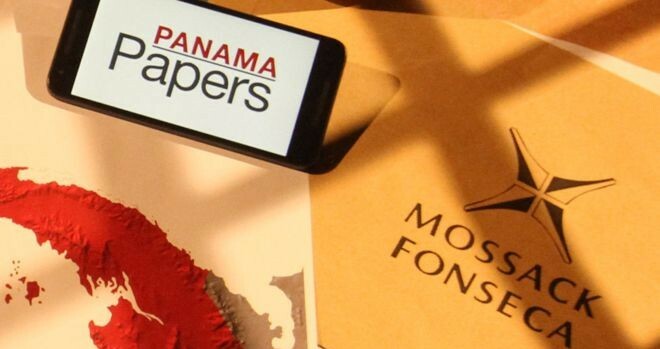 The material is reported to have been leaked to the German newspaper Süddeutsche Zeitung from the database of Mossack Fonseca, the world’s fourth biggest offshore law firm. As the cracks appear in the once invincible wall of tax haven secrecy, it must be dawning on the rich and powerful that their privacy is no longer guaranteed. The opening reports of the Panama Papers focus on a $2bn trail to Vladimir Putin, the President of Russia. But we can expect coming days to bring revelations about many more people. The last thing the rich and powerful who have offshore bank accounts want is publicity about them. Their questions must be “where next” and “which havens remain safe”? What is important about Panama’s financial services industry? If you tap “Panama offshore” into Google you get a long list of adverts offering to set up a Panama offshore (secret) bank account for you. For those wanting to establish a really secret tax avoidance scheme it is not good enough just to pick one offshore tax haven — say the British Virgin Islands or the Cayman Islands. You need a series of interlocking offshore accounts in different jurisdictions to guarantee anonymity. British Virgin Islands is good for setting up companies and the Caymans provides extremely discreet bank accounts. Meanwhile Panama is tax exempt and stonewalls requests for company information from investigators in the rest of the world. Offshore companies incorporated in Panama –– and the owners of the companies –– are exempt from any corporate taxes, withholding taxes, income tax, capital gains tax, local taxes, and estate or inheritance taxes, including gift taxes. Panama has more than 350,000 secretive International Business Companies (IBCs) registered: the third largest number in the world after Hong Kong and the British Virgin Islands. Alongside incorporation of IBCs, Panamanian financial services are proactive in forming tax-avoiding foundations and trusts, insurance, and boat and shipping registration. Violation of financial secrecy is punishable by prison. The Tax Justice Network says that “until now Panama has been fairly indifferent to reputational issues, but the increased attention that Panama receives will inevitably raise concerns among the punters that Panama is no longer able to effectively protect the identity of the crooks and scammers attracted by its dodgy laws and equally dodgy law firms”. TJN says Panama has long been the recipient of drugs money from Latin America, plus ample other sources of dirty money from the US and elsewhere – it is one of the oldest and best known tax havens in the Americas. In recent years it has adopted a hard-line position as a jurisdiction that refuses to cooperate with international transparency initiatives. The country is filled with dishonest lawyers, dishonest bankers, dishonest company formation agents and dishonest companies registered there by those dishonest lawyers so that they can deposit dirty money into their dishonest banks. The Free Trade Zone is the black hole through which Panama has become one of the filthiest money laundering sinks in the world. The emergence of a multinational network of journalists prepared to take on these secret havens has at its heart the investigative journalist Gerald Ryle, who spent 26 years working as a reporter and editor in Australia and Ireland, including many years at The Sydney Morning Herald and The Age newspapers. A quietly spoken man, he uncovered some of the biggest stories in Australian journalism, winning four prestigious Walkley Awards including the Gold Walkley, Australia’s highest award for journalism. While working for the Sydney Morning Herald in Australia, Ryle was told by a source he would receive an significant package which could be the biggest story of his career. I still remember the day it arrived, there was just the office manager there, I just hugged her and thanked her and walked back to my office. I pulled the package open and there was a hard drive inside. At first he did not know what it all meant but it became clear that it was an enormous cache of details of confidential emails, documents and files from the offshore world. From what could be made of the scattered and vastly disorganised material, Ryle later recalled his thoughts. I know it is a potential goldmine but I don’t actually know what I’m looking at, I’m not sure how valuable it is. Ryle knew it was information from the secretive offshore world, was authentic and that the next step was to organise extracting the data in some kind of meaningful format. A chance to have access to the resources needed for this type of operation became available when Ryle was offered a job heading the International Consortium of Investigative journalists in Washington DC. Founded in 1997, ICIJ was launched as a project of the Centre for Public Integrity to extend the centre’s style of watchdog journalism, focusing on issues that do not stop at national frontiers: cross-border crime, corruption, and the accountability of power. With the consortium’s resources available to him, Ryle started to organize an international effort to structure the information so that journalists worldwide could analyse and find big names and stories from the data on a safe and secure platform in an efficient and ordered way. Within 24 hours of publication of details of Cayman Island tax havens in April 2013, the Guardian was filled with stories from a collaboration with the International Consortium of Investigative journalists. 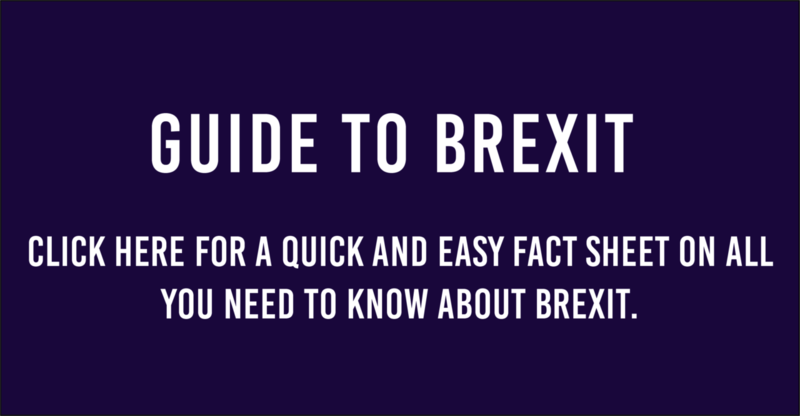 The tie-up also included the BBC in the UK, Le Monde in France, Süddeutsche Zeitung and Norddeutscher Rundfunk in Germany, The Washington Post, the Canadian Broadcasting Corporation, and 31 other international media partners. According to the ICIJ, 86 journalists from 46 countries used both hi-tech data-crunching and traditional reporting to sift through e-mails and account ledgers covering nearly 30 years. One of the biggest hits for the ICIJ was on Azerbijan’s president, Ilham Aliyev, after he and members of his family were revealed as shareholders in at least four offshore companies. It is against Azerbaijani law to be involved in business while in power. By September 2013, journalists from 190 countries had produced stories from the database about prominent citizens who had hidden offshore accounts. Then in February 2015 a team of journalists from 45 countries opened to public scrutiny secret bank accounts maintained for criminals, traffickers, tax dodgers, politicians and celebrities. Secret documents in the data batch revealed that global banking giant HSBC profited from doing business with arms dealers, the ICIJ reported. The leaked files, based on the inner workings of a Swiss private banking arm of HSBC, related to accounts holding more than $100 billion. They provided a rare glimpse inside the super-secret Swiss banking system. The documents, obtained by the ICIJ via the French newspaper Le Monde, showed the private banking arm had dealt with clients who were engaged in illegal behaviour. Later that year ICIJ was given access to the largest data haul so far –– some 11 million documents covering accounts held by the rich across the globe. The follow-up stories are now breaking now and will fill news bulletins for months – maybe years. It is proof –– if any were needed –– of the need for investigative journalists to hold the powerful to account.